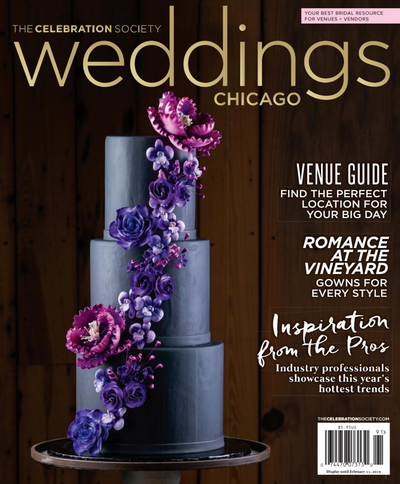 With the latest issue of The Celebration Society Weddings - Chicago out now, we are so excited to be featured on the cover and throughout the entire magazine! Photographs by Christopher R. Côté, Jenny Fontaine, and Christian Yah. We were excited to be invited to capture the galleries for cakes, flowers, and invitations for The Celebration Society Weddings - Chicago once again this year! The shoot took place at the beautiful and rustic Abbey Farms. Christopher Côté and Jessica Lindberg captured all of the gorgeous photographs and video. Edward Fox Photography & Video was thrilled to be featured on the cover of Where Chicago's January issue of their magazine! Several gorgeous images by Christopher R. Côté (with assistance from Jessica Lindberg) were featured throughout the issue from India House on Grand Avenue in Chicago. 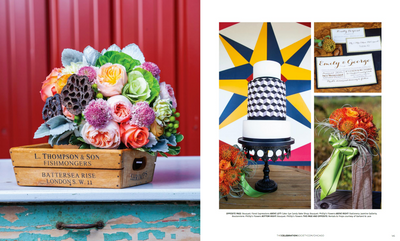 Edward Fox Photography & Video was thrilled to be featured on the cover of Where Chicago's May issue of their magazine! The cover was photographed by Christopher R. Côté (with assistance from Jessica Lindberg) at the IO Godfrey at the Godfrey Hotel in Chicago. Edward Fox Photography & Video was thrilled to be featured on the cover of Where Chicago's June issue of their magazine! Big Star, a popular restaurant in Wicker Park, was featured on the cover shot by Christopher R. Côté. This year's Galleries Shoot had the Edward Fox team returning to Danada House in Wheaton, IL for another fun day with Laura & her crew to capture gorgeous images of wedding cakes and bouquets! Check out this Style Profile of the "Industrial Elegance" dressed setting of Loft 21 as styled by Denise Bonds of Windermere Elegant Weddings & Events. 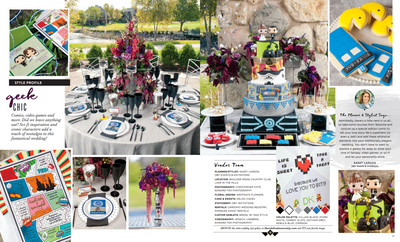 Any Jedi, Vulcan, or Muggle would be happy to take their TARDIS to a "Geek Chic" themed wedding as styled by Kasey Larson at the beautiful Boulder Ridge Country Club! 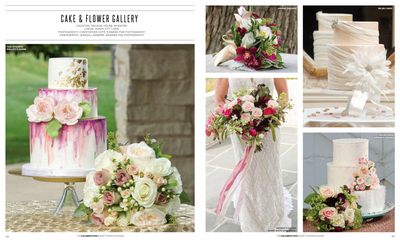 Take a look at the beautiful cakes, flowers and invitations we photographed this year for the Wedding Guide Chicago Magazine. 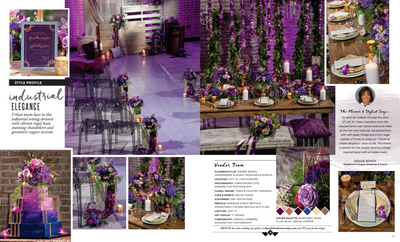 Check out this photoshoot featuring a partyscape at the Onion Pub in Lake Barrington, IL. Feast your eyes on this partyscape photographed at Pinstripes in downtown Chicago. 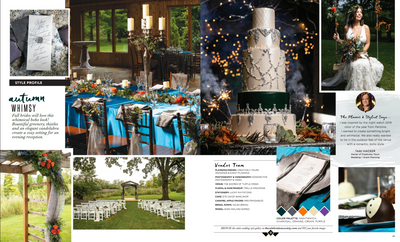 For the "Winter / Spring 2017" issue of Wedding Guide Chicago, Edward Fox Photography & Video was excited to be a part of three different photoshoots in a week's time! Travel along with photographer Christopher Côté as he and videographer Jessica Lindberg take you to the Onion Pub, Pinstripes, and the Wilder Mansion for a behind-the-scenes look at all the elements of these gorgeous images.